Time for a break from the norm with something just a little bit badass. A brand new wide promo banner for Wong Kar-Wai's The Grandmasters recently showed up online, from Facebook. We recently featured the full trailer for the martial arts film about the Ip Man, who trained the legendary Bruce Lee, so marketing is underway. The cast is lead by Tony Leung, Zhang Ziyi and Chen Chang, two of whom also get their own "character posters" below as well. This banner shows the Yip Man poised on some sort of ladder or ledge or something, but I like the big text and composition, and I'm looking forward to see this film sometime soon. 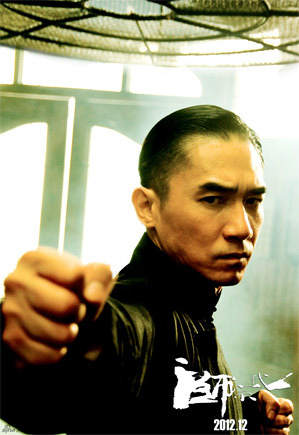 The story of martial arts grand master Ip Man (Tony Leung Chiu Wai), the man who trained Bruce Lee. 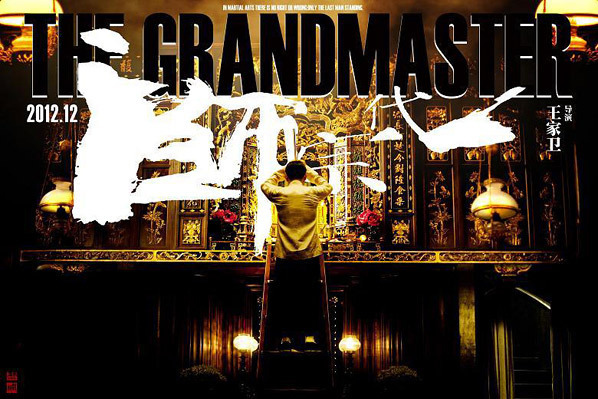 The Grandmasters is directed by highly acclaimed Chinese filmmaker Wong Kar Wai, of films including Chungking Express, Ashes of Time, Happy Together, In the Mood for Love, 2046 and My Blueberry Nights previously. The screenplay was co-written by Wong Kar Wai, Haofeng Xu and Zou Jingzhi, from a story by Wong Kar Wai. This isn't set for release in China until 2012 and although Annapurna Pictures has US rights, we don't know when we'll see it here in the United States. Stay tuned and watch the full-length trailer here. why is it beeing called "the grandmasterS" everywhere, while on that seemingly official banner it reads "the grandmaster"? How it this film possible, IP Man was born in '62, and Master Lee passed in '73?